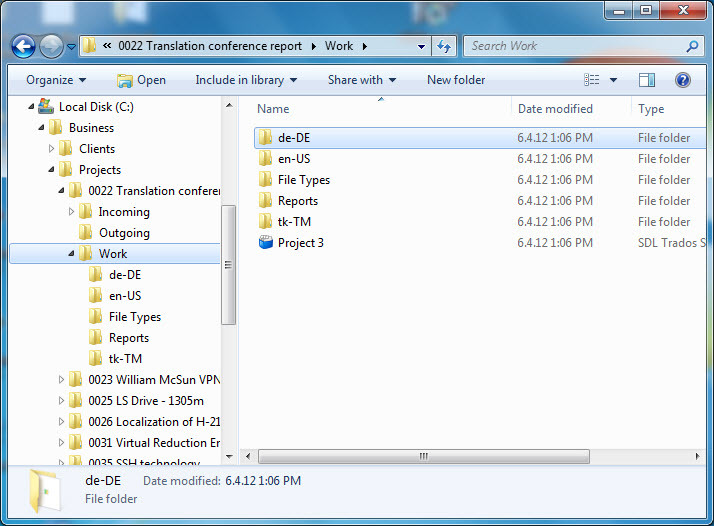 Projetex has its own folder structure, which is located in the Business folder. Inside this folder, several main sub-folders are created, including Clients and Projects. When a client is created in Projetex, the appropriate folder is created for this client, named with the client code. It is possible to customize all folders, which will be created automatically under each client and project, in the Projetex 3D Server Administrator > Corporate Settings > Folders dialog. 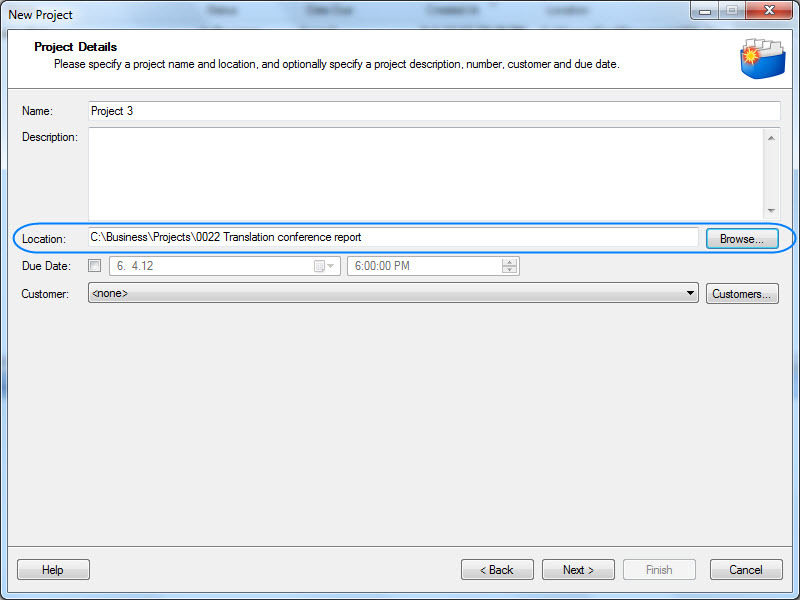 Once a project is created, the corresponding folder is created automatically when first "called" by Projetex. 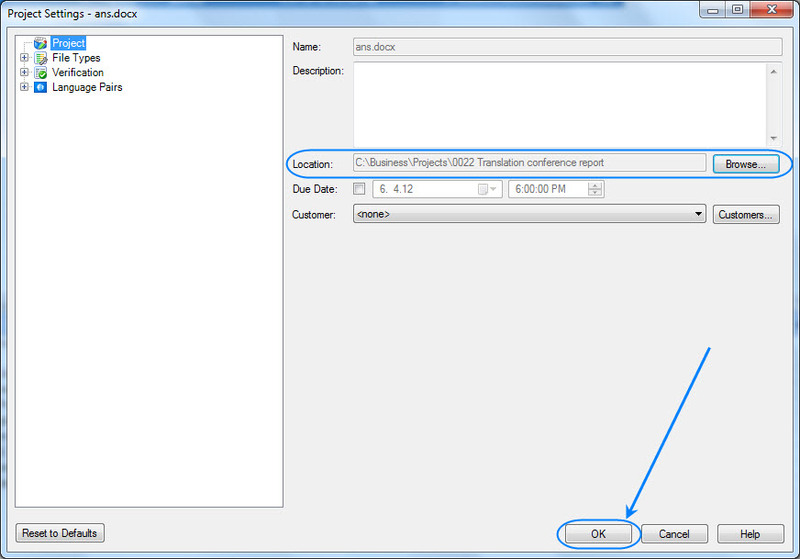 To create an SDL Trados Studio project inside this folder, please specify it in the New Project window of Trados.